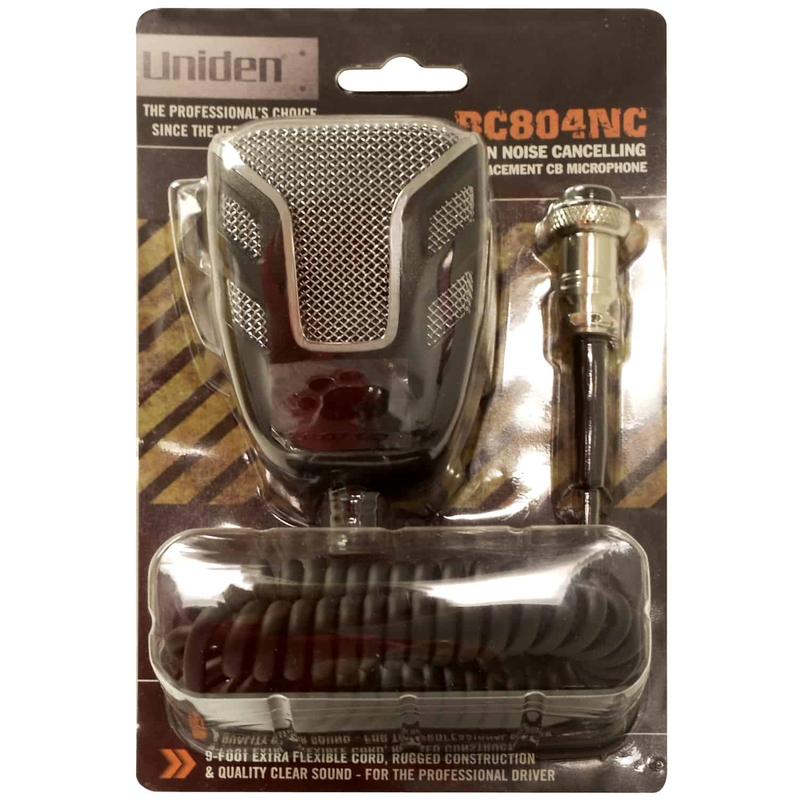 The Uniden BC804NC Noise Canceling CB Microphone. The BC804NC is a noise canceling 4 pin replacement CB microphone from Uniden. A generous 9 foot extra flexible coiled cord with strain relief at both ends will reach anywhere you need access even in larger vehicle cabs. The BC804NC is rugged yet has crystal clear audio designed for the professional driver. The BC804NC fits 4-pin screw on microphone connectors. 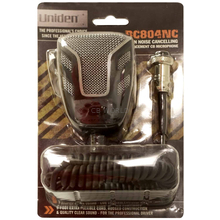 The Uniden BC804NC is compatible with all PC68 and PC78 series Uniden CB radios. Fully compatible with Cobra 18, 25, and 29 CB radios. The BC804NC mic is also compatible with Connex, General, Galaxy, and Stryker 10 meter radios making it one of the most usable handheld 2-way radio microphones on today's market! 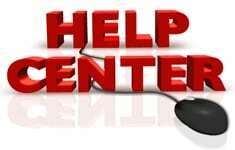 CB World has assembled a complete CB microphone guide that can assist you in identify the correct microphone for your current CB or 10 meter radio.